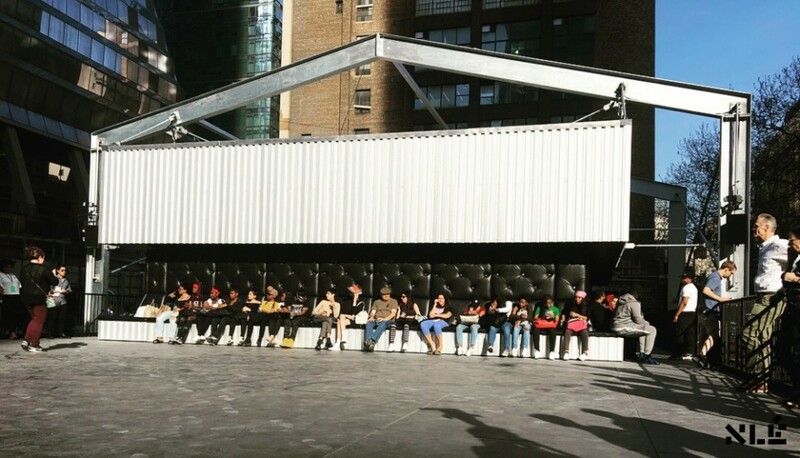 Can architecture be more human – move, dance, adapt? Can it construct different situations in a complex environment? 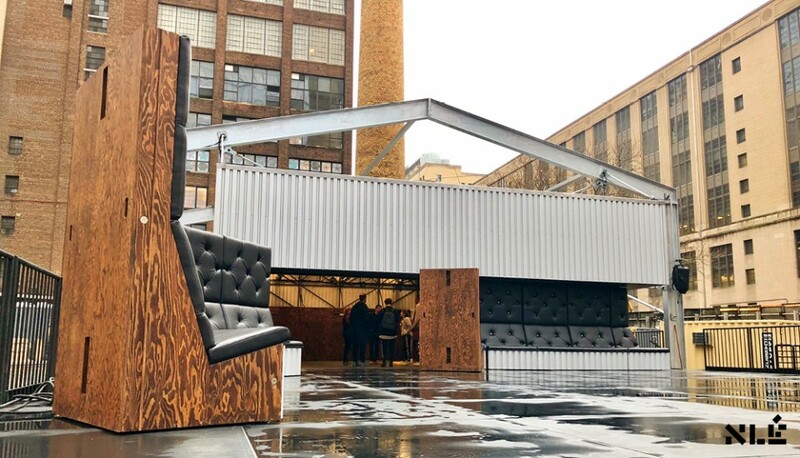 This curiosity led us to reconfigure a steel shed into a comfortable interface to interact with people physically; inside and outside, in light and darkness, individually and collectively. 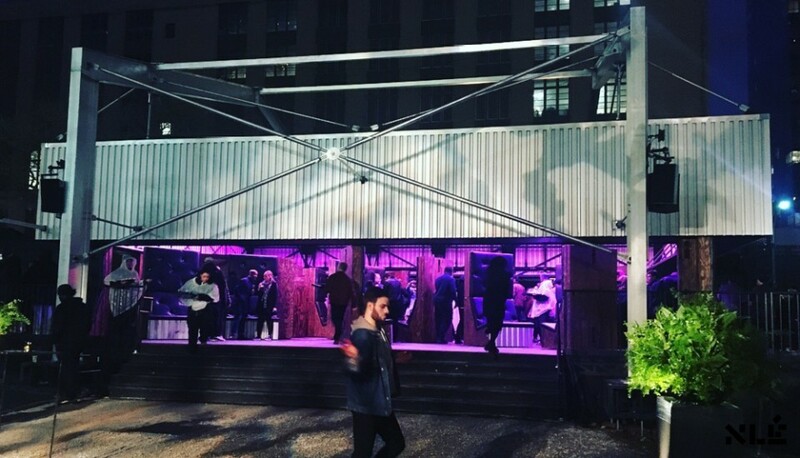 We made it moveable and transformable by people, using simple technologies, enabling it to participate in different formats of art, education, events and public life. 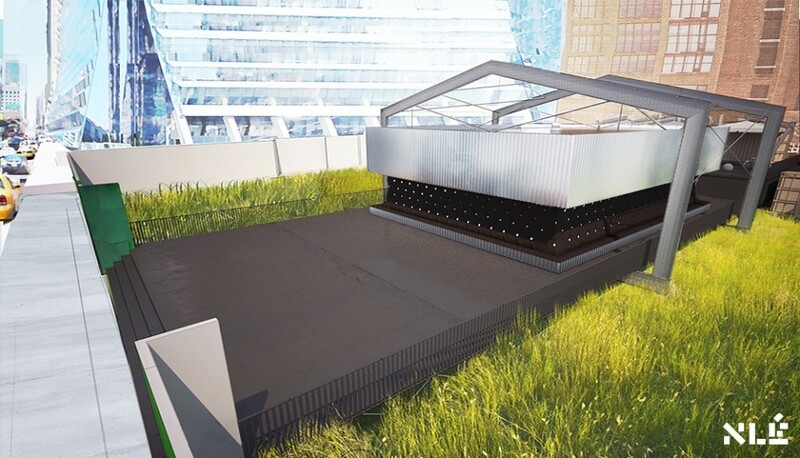 A Prelude to The Shed is an exploration of architecture as an extension of human body, culture and environment. 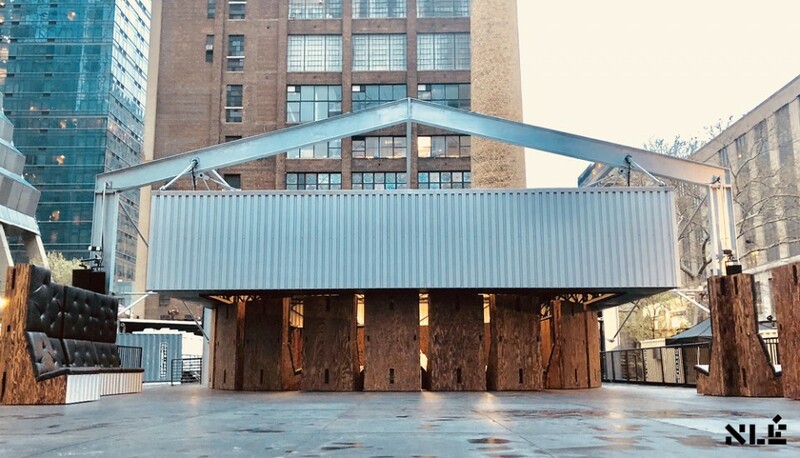 February 6, 2018 — New York, New York — This May, approximately one year before opening in spring 2019, The Shed will present a free, 12-day multi-arts event on an undeveloped lot at Tenth Avenue and 30th Street in Manhattan, one block away from its permanent home. 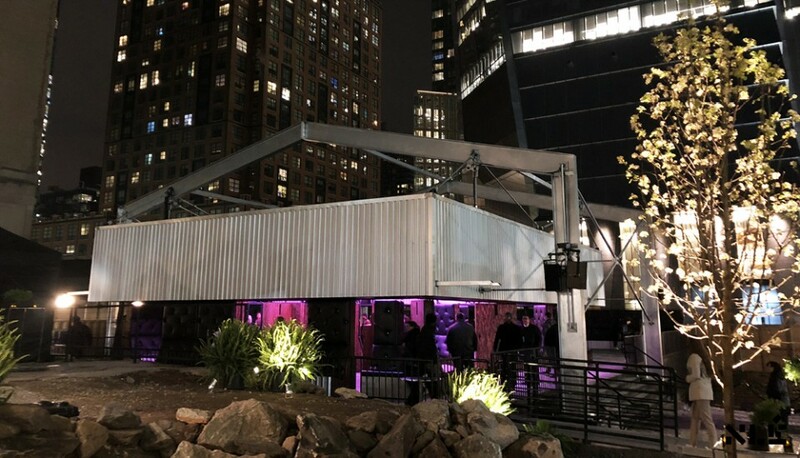 A transformable structure is as vital to the architecture of Prelude as it is for The Shed, where perimeters shift to accommodate multiple artistic disciplines under one roof. 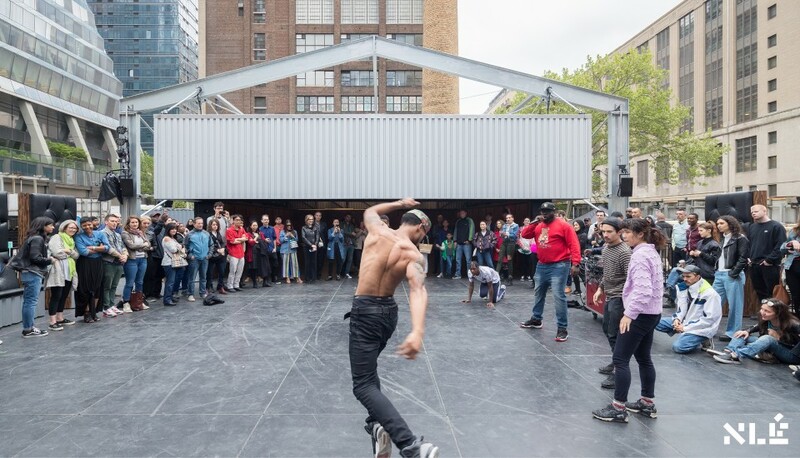 Architect Kunlé Adeyemi of NLE Works collaborated closely with artist Tino Sehgal to design a temporary space in which dancers move and reconfigure the structure in a fluid integration of architecture and choreography. 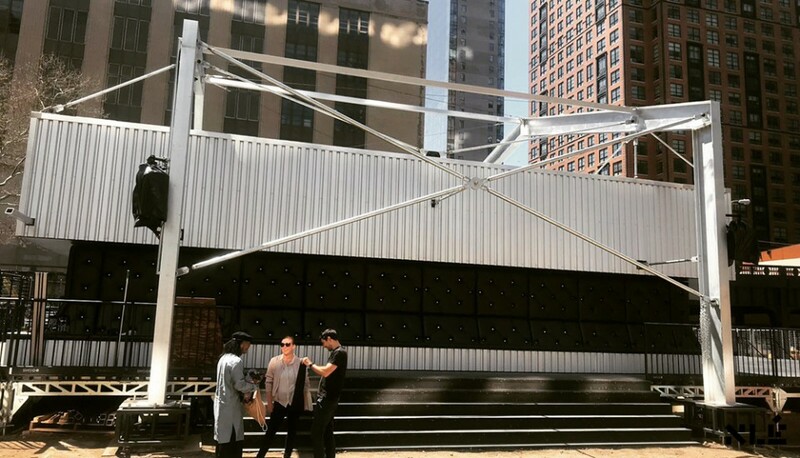 Events happen throughout each day over the course of two weeks, seamlessly connected by Sehgal:”This variation,” an immersive dance/sound piece by Sehgal, will happen continuously throughout each afternoon, interwoven with a new work by William Forsythe. Commissioned for Prelude, it is a radical re-imagining of the pas de deux from his renowned “In the Middle, Somewhat Elevated” (1987). Prelude will present dance “battles” as an example of work from The Shed’s pre- opening dance commission, FlexNYC, a free city-wide dance activism program for New York City youth under the direction of pioneering director and choreographer Reggie “Regg Roc” Gray and his D.R.E.A.M Ring dancers (Dance Rules Everything Around Me). On multiple evenings, Prelude will feature a series of live solo concerts by Atlanta-based R&B singer-songwriter ABRA, Venezuelan electronic music producer, DJ, and songwriter Arca, and New York-based rapper and singer- songwriter Azealia Banks. Panels on alternate evenings will focus on topics that synthesize Prelude’s programmatic ambitions: new institutional models for the 21st century, the politics of ritualized gatherings, and the role of art and culture in social connectivity. Scholar, writer and curator Dorothea von Hantelmann organized the talks in collaboration with The Shed’s artistic advisor, Hans Ulrich Obrist, and Chief Science and Technology Officer, Kevin Slavin. Prelude also provides insight into the inspiration for The Shed’s innovative architecture: The Fun Palace, an influential but unrealized idea developed in 1961 by architect Cedric Price, whose vision to fuse participation and architecture is well-preserved in archives. 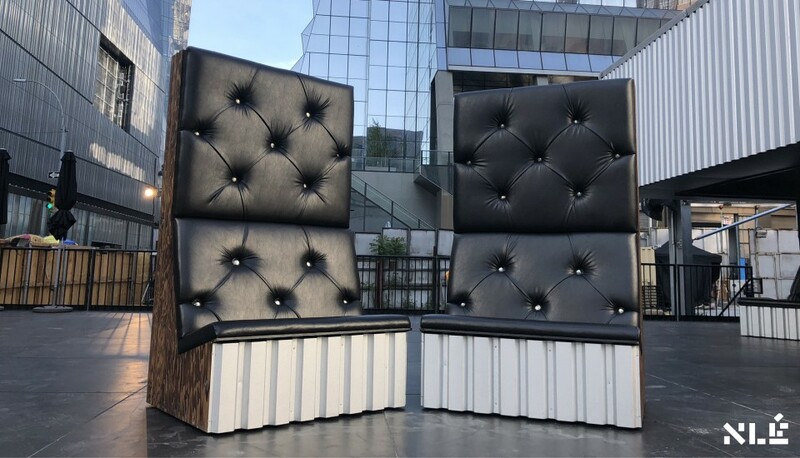 Prelude will encourage visitors to interact with reproductions of these artifacts in a way that is more dynamic than just looking—mobile exhibition carts will be moved around Adeyemi’s temporary space by students prepared to engage in conversation. Artist Asad Raza will lead an experimental school each morning, based on his ongoing work “Schema for a school.” Students will be led through a series of exercises, activities, and assignments as a way of examining different modes of radical pedagogy, some aspects of which will be open to audience members. “Art institutions—museums, exhibitions, theaters, concert halls, festivals—have always been spaces in which a social structure becomes manifest. To find ritual forms that correspond to contemporary forms of life and to the social structures of the early 21st century, that is the aspiration to which this project is dedicated,” said von Hantelmann, from an essay commissioned by The Shed for this event. Admission to A Prelude to The Shed is free, via advance reservations at theshed.org beginning in April, or by walk-up at the Prelude site in May. Attendees will be able to dine at an onsite café.